** Teaching Series ** Worry. Confusion. Anger. Depression. If any of these are a constant companion in your life, there’s a battle going on in your mind. You’re not alone, though, and the war isn’t lost! God wants to fight this for you. 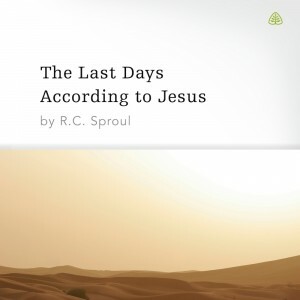 The Last Days According to Jesus also addresses these questions: - Who is the antichrist? - When is the resurrection? - When is the millennium? 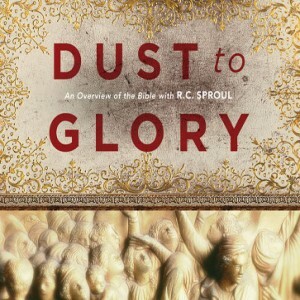 Sproul's answers may surprise you. ** Teaching Series ** Beneath our tangible landscape lurks an invisible spiritual realm where unseen battles rage. It's real. And it's dangerous. 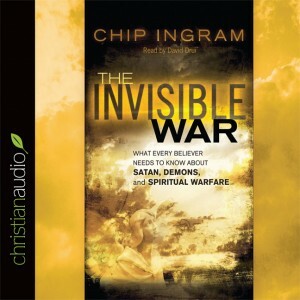 If you're prepared to remove the blinders and gaze into the unseen world, Chip Ingram is ready to take you there. Hang on to your seat. It's going to be a journey inside the very folds of our Bibles, a journey that will teach us about our greatest foe, Satan, also known as Lucifer, the Dragon, Serpent, and Son of the Morning Star. Although this lying thief comes to "steal, kill, and destroy," God details, in Ephesians 6, the battle plan to uncover Satan's cunning deceptions and to resist his sinister schemes. The cosmic conflict exploding all around us will have eternal implications, for us and those we love. This series will prepare you to do spiritual battle with the enemy of your soul... and win! You'll learn to clothe yourself with God's spiritual armor so you can be confident of certain victory over the scheming enemy. Faith plays a role in our everyday lives more than you might think. You trust that the chair you’re about to sit in will hold you and that the lights will come on when you flip the switch… It’s easy to have faith in the little things, but what about when it comes to trusting God? Do you struggle to apply that same kind of faith in Him? 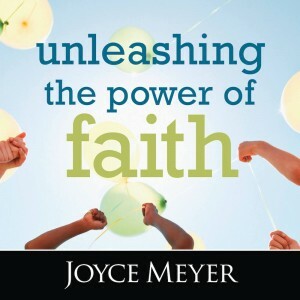 In this three-part series, Joyce shares… The importance of being faithful to God; Three steps to living by faith; Key scriptures to understanding faith; How walking in faith reduces stress and confusion. Someday that chair may eventually break and the electricity may go out, but God is the only one who will never fail you. In the face of scorn and disbelief, Jesus Christ announced His kingdom. In the face of hatred and death, He demonstrated its power. 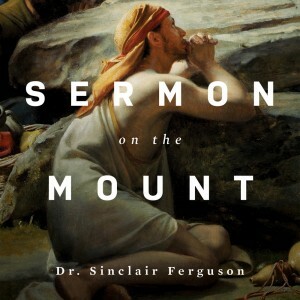 In this twelve-lecture series, Dr. Sinclair Ferguson explains how the Sermon on the Mount equips us to live a kingdom life in a fallen world. Dr. Ferguson highlights Christ’s exhortations to live counterculturally, to examine the deeper implications of God’s law, and to rest in the knowledge of God as Father for the cure of all our anxieties. Knowing the time was fast approaching for Him to depart this world, Jesus spent His final hours with His closest friends. As the disciples sat with their master, unaware of what would soon take place, Jesus served them, taught them, and prayed for them. 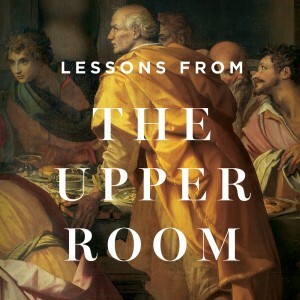 In this 12-part teaching series, Lessons from the Upper Room, Dr. Sinclair Ferguson paints a vivid picture of the disciples’ final moments with their Savior. Carefully walking through John 13-17, Dr. Ferguson reminds us of the centrality of Christ in all of life. ** Teaching Series ** If you are tired of fighting a losing battle with the dragon of lust, and know it is a problem you need help with, decide to go on the offensive. This series will help you launch a triumphant attack. You'll learn how to safeguard yourself against the flood of sensual messages that bombard you daily, how to identify your weaknesses and patterns of sin, and how to protect your home from this dangerous enemy. These audio lectures are a unique learning experience. 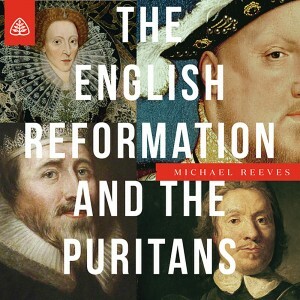 Unlike a traditional audiobook's direct narration of a book's text, Revelation: Audio Lectures includes high-quality live recordings of college-level lectures that cover the important points from each subject as well as relevant material from other sources. 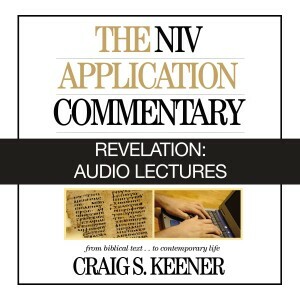 Revelation: Audio Lectures features top New Testament scholar Craig S. Keener teaching through the book of Revelation in these engaging and challenging lessons. These lessons explore the links between the Bible's final book and how we should live our lives today. With honesty and scholarly insight, each lesson shows how Revelation strengthens our hope in the future while enabling us to live out our Christian faith wisely in the present. 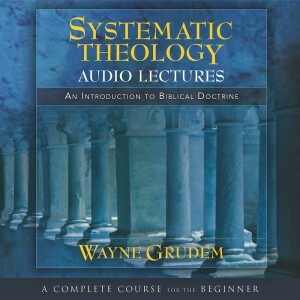 Revelation: Audio Lectures is part of the Zondervan Beyond the Basics Series, which is dedicated to bringing expert teaching from the world's best biblical scholars and theologians directly to interested learners. 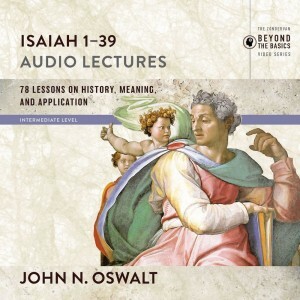 Revelation: Audio Lectures offers the chance to learn about this important and controversial New Testament book from one of today's premier New Testament scholars. ** Teaching Series ** Are you sick from worry? Grouchy about your circumstances? 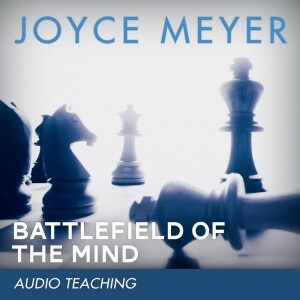 With this teaching from Joyce, you can break free from the chains of worry and anxiety. Are you an investor or a gambler? Investors make decisions that are good for their body, soul and spirit...things like eating healthy, doing kind things for other people and spending time with God. On the other hand, gamblers do things they know they shouldn’t and think that they’ll be the one who gets away with it. Which one would you rather be? In this four-CD series, you’ll learn the right way to do things and learn... Why it’s healthy to live your life putting others first; Two things to avoid if you want a healthy mind; Self-control in your eating habits; Why “religion” does not make you spiritually stronger. 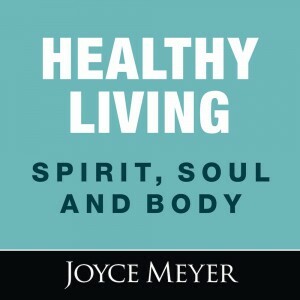 Better than a gym membership, this series on healthy living addresses not just your body, but also how to balance your spirit, soul and body into one complete healthy lifestyle today! World-renowned New Testament scholar offers a straightforward examination of what the Bible says about the Holy Spirit.Who exactly is the Holy Spirit? What does he do in our lives? How can we know him more deeply, and is it possible to tap into his power? Should we pray to the Holy Spirit? Is it possible to be aware of his promptings and speaking into our lives? Dr. Scot McKnight answers these questions and more in this comprehensive examination of what the Bible says about this divinely important, but often confusing member of the Trinity. This is the third work in a three-part series examining some of the more mysterious components of the Christian faith. Scot's The Heaven Promise examines the afterlife. The Hum of Angels elucidates the Bible's teaching on God's supernatural messengers and protectors. 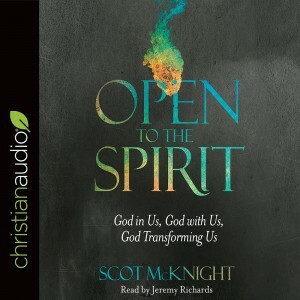 Now, Open to the Spirit examines the most mysterious member of the Trinity.Scot blogs at Patheos, a large multi-perspective blog format. It serves many influential voices from many faith and non-faith traditions. Scot's blog draws primarily a Christian readership; one that is looking for intellectual engagement and thoughtful analysis of Scripture, Theology, and Culture.